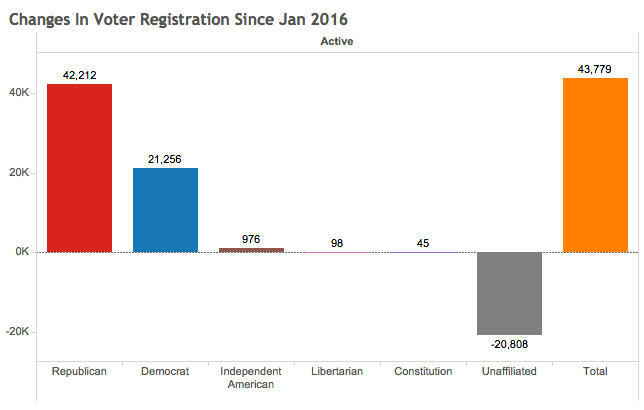 The number of registered voters in Utah has increased by more than 45 thousand since the beginning of this year. While political parties and county clerks welcome the increase, it does make their jobs more complicated. Interest in elections almost always increases during presidential election years, but this year Utah has seen an even bigger spike than normal. 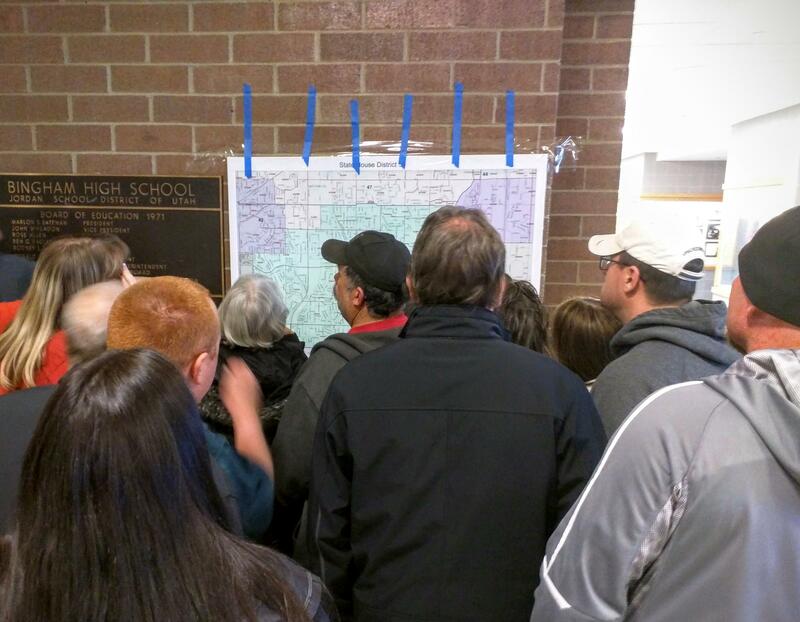 “Oh, leading up to Caucus Night it was definitely different,” Salt Lake County Clerk Sherrie Swensen says. In the few weeks leading up to the caucus night in late March her office received thousands of requests to register to vote, or to change a person’s affiliation. Statewide data from the Lt. Governor’s office confirms that Swensen wasn’t the only county clerk swamped with requests. 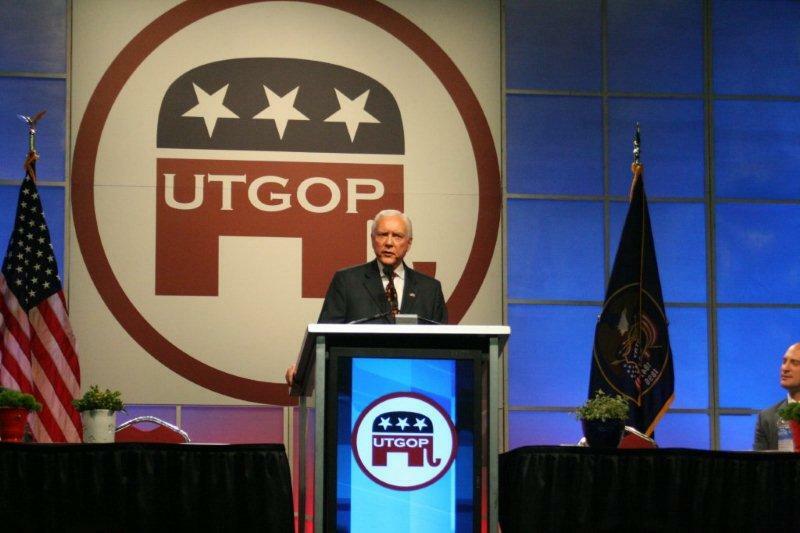 In the two week period of time before caucus night, the Utah Republican Party gained more than 20 thousand active voters, while the Utah Democratic Party gained more than 8 thousand. Lauren Littlefield is the executive director of the Utah Democratic Party. She says she’s excited about all the new voters, but now she has to figure out how to keep them all engaged through the general election. “That is the question that keeps me up at night. That is the thing that I lay in bed wondering about, and that I honestly do fear, because I think there is an element in there that, what if people just don’t show up,” Littlefield says. Meanwhile, the Salt Lake County Clerk’s office recently sent out letters reminding voters of the upcoming Primary Election on June 28th. They even sent a notice to unaffiliated voters explaining that to participate in the GOP primary, they’d have to be a registered Republican. Sherrie Swensen says that’s sparked a lot of questions. “We try to explain to them that the primaries are a function of the political parties, that it’s a decision made by each party as to whether to open or close their primary election,” she says. Salt Lake County is one of 20 counties offering vote-by-mail. Swensen says they’ll be sending as many as 450 thousand ballots out, which is far more than they’ve ever mailed before. Congressman Jason Chaffetz’ Republican challenger has requested an investigation into the incumbent’s campaign spending. 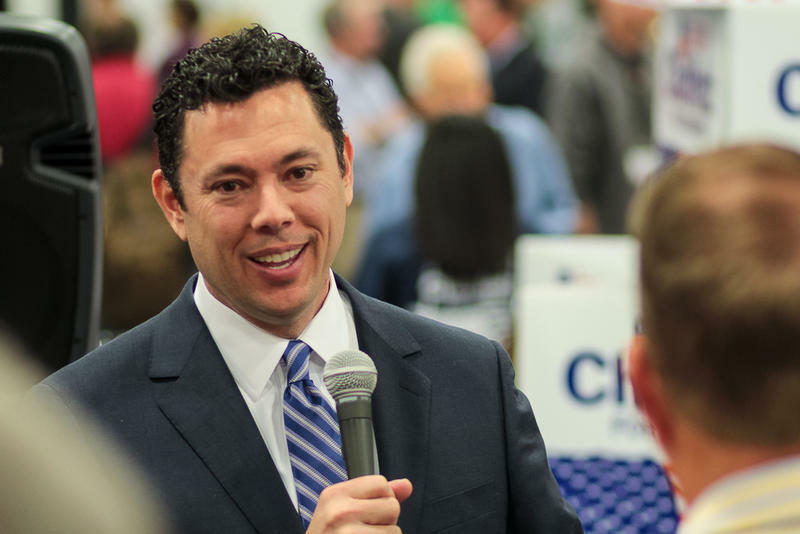 In a letter sent this week to the Federal Election Commission, Republican challenger Chia-Chi Teng contends that Chaffetz has been using campaign funds for personal use. In the days leading up to state political conventions, a new report shows how closely delegates align with the voters they represent. Congressman Jason Chaffetz has two challengers to his seat in Utah’s Third Congressional District.